Minestrone is a staple of cucina povera, which literally translates to poor kitchen – peasant food. The word minestrone is the augmentative form of the word minestra or soup. It has existed in one form or another since Roman times. The Neapolitan version always contains a base of tomatoes and potatoes, which, despite their being fundamental today, were only introduced in the mid-16th century. It is a dish suitably served hot in the winter and chilled in the summer. You can adapt this recipe to your liking. See below for a spicy, North African version. Recipe after the photo. Serves four, with leftovers, of course. The trick is to cook the denser/tougher vegetables first. The leek (or onion) and celery go in first. They’re followed by the carrots and potatoes. Next, is the broccoli along with the heart of its stem (more on that in a second). Finally, in the last 10 minutes of cooking goes the courgette because they’re the most delicate. As for the broccoli stem. There is no reason to discard it. Cut it off from the floret as you normally would. Take a look at it. Do you see the light green bit surrounded by the tougher, darker, green bit? Well, cut off that outer, tougher shell and you will be left with, arguably, the most delicate and delicious part of the broccoli. Chop that up and use it in the minestrone. Heat the olive or vegetable oil in a large saucepan over medium heat. Add the asafoetida, celery and leeks. Let these sweat for approximately 15 minutes until soft. Stir from time to time so they don’t burn. Next add the potatoes and carrots. Mix well. Add the tarragon, oregano, thyme and chili. Mix well again and let the mixture cook for 5 minutes. Add the passata, a pinch of salt, 250-300ml water (to start) and the yeast extract. All the initial, tougher, vegetables should just be covered by the passata and water. You will need to judge the thickness of the minestrone to your liking. So keep the water on hand and add more if you wish to make it soupier. Remember, you still have the broccoli and courgette to add. Stir well, especially ensuring the yeast extract is dissolved. Cover the saucepan and turn up the heat to medium-high. Let the mixture come to a boil, then turn down the heat and simmer for 15-20 minutes, until the potatoes are soft. Check frequently and add more water if the mixture is too thick. When you are 10 minutes into the initial simmering, add the broccoli (if using) and mix well. Add the chickpeas if you are using these. Check that you are happy with the density of the stew and add more water if you’re not. Taste for seasoning. 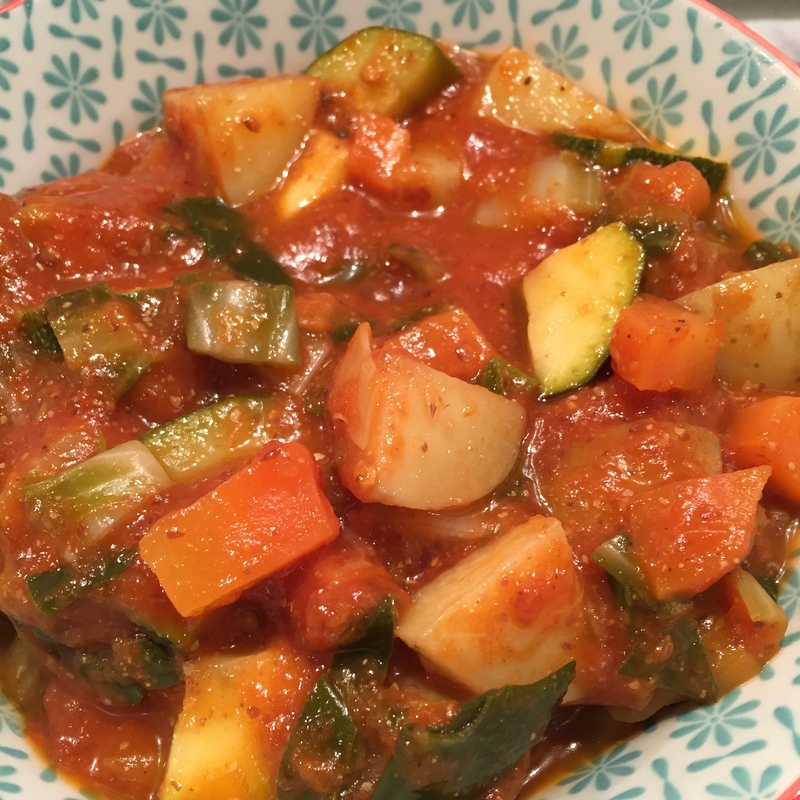 Once the broccoli has softened enough to your liking (if you let it go just a bit more, it will soak up some of the tomato and be extra delicious) add the courgette and cook for a final 5-6 minutes. At the very end, add the fresh basil leaves and let them wilt in the heat of the dish. Turn off heat, taste for seasoning and sir in the ground linseeds and nutritional yeast flakes. Serve hot or room temperature with nutritional yeast sprinkled atop, or vegan parmesan, with crusty bread on the side or with thick croutons or freselle as a base (as pictured above) that will soak up with tomatoey, soupy part and with a drizzle of olive oil, if you fancy. 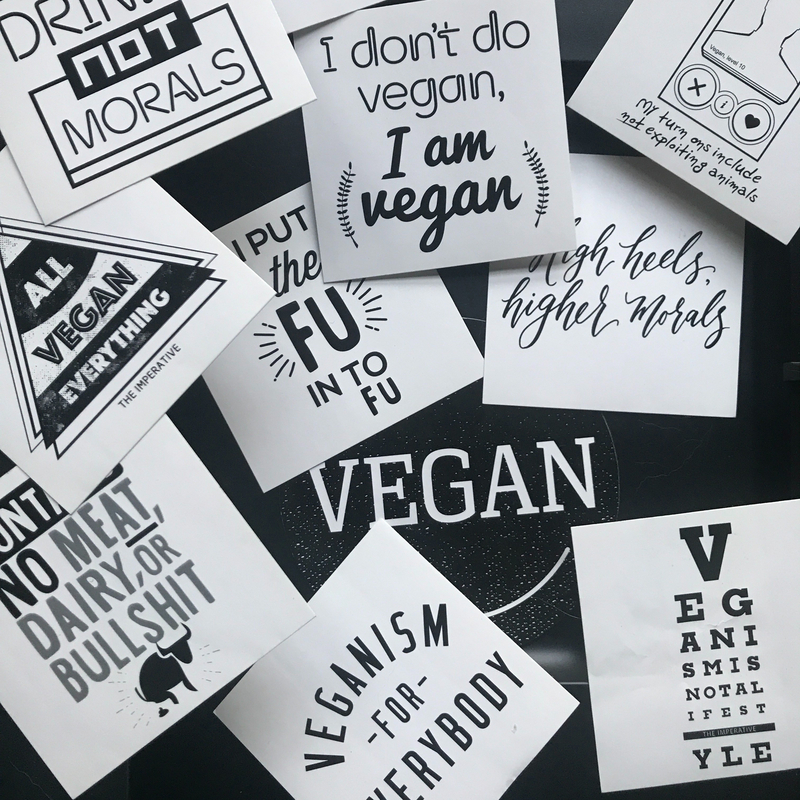 If you are not vegan, please go vegan. It is easier than ever and http://www.howdoigovegan.com will help you get started. I made a large batch of minestrone earlier this week. Minestrone is a staple of cucina povera. It has existed in one form or another since Roman times. This is the Neapolitan version and it always contains a base of tomatoes and potatoes, which, despite their being fundamental today, were only introduced in the mid-16th century.